Thanks a lot guys for your wonderful response to my blog. My third snack in the series Snacking differently has to be Almonds. Stone nuts, as Almonds are sometimes called are my favorite nuts. My father had been fan of Almonds. Every evening he will soak almonds in water and next morning we use to eat before going to school. Even today we all follow this regimen. I can’t even think of one reason of not having almonds. It depends on you how you want to eat it. Either you can soak in water and then eat, or eat directly. Its winter season so while preparing Gajar Ka Halwa or Pinni add sliced almonds for garnishing. One common myth about almonds is that they are fatty. They are rich in fats, but they are healthy fats. It has been proven that consuming almonds each day aids in weight loss. The condition is it should be unsalted and not roasted. It not only builds strong bones & teeth but also lowers bad cholesterol levels. Almonds are rich in Vitamin E, Calcium, Magnesium, Potassium and many other minerals. If any person you know is diabetic suggest him/her to have almonds. Almonds help fight diseases like diabetes and Alzheimer. From ancient to modern times, almonds have always been a popular ingredient in creams, lotions, and massage oils. Girls you can grate add 2 almonds in your face pack. It leaves your skin smooth and shiny. My suggestion is instead of going for imported Almonds buy Desi Almonds. 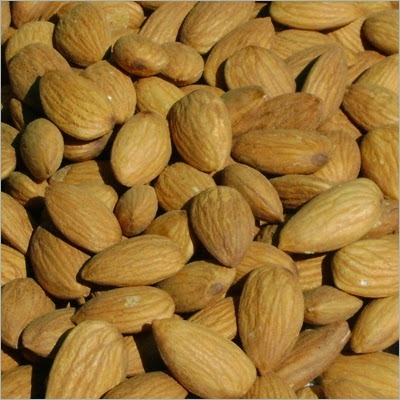 The reason is abroad Almonds are pasteurized or irradiated therefore are low in nutrition. Desi Almonds are not only nutritious but also cheaper as compared to imported. It’s better to store in airtight jar. For working group you can keep in zip lock as its easy to carry in bag. Please let me know did you enjoyed the snacking series?